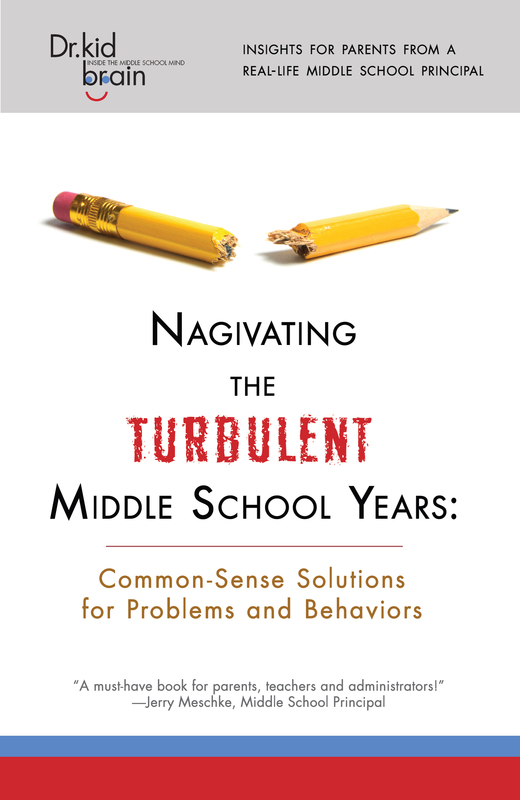 Navigating the Turbulent Middle School Years is a great resource for middle school parents and teachers. The purpose of the book is to give readers an idea of some of the most common problems that confront middle school kids - and how each situation may be resolved. Each chapter (or scenario) includes a story which will be told from the point of view of those most affected by the problem. Consequently, as in real life, each individual has a unique point of view and story to tell. The easy-to-follow format for each scenario includes: the story from the middle school kid’s point of view, the story from the parents’ point of view, the story from the teacher or administrator’s point of view, and Dr. Kid Brain's recommended solution(s) to the problem. We learn through stories and scenarios - and this book is all about stories and scenarios. The book is primarily intended for parents of middle school-aged children. Parents who have children in the elementary grades will also be interested in this book because a great worry for them is the upcoming middle school years. A secondary audience of this book will be teachers of middle-school kids. Dr. Kid Brain has worked in middle schools over the past thirty years as a teacher, coach, school psychologist, dean, and principal. Recently, in partnership with the teachers and parents, he transformed his building from an ordinary middle school into an International Baccalaureate World School. Additionally, for many years he taught classes on how middle school kids think and behave to undergraduate and graduate students at the University of Minnesota. He is also past President of the Minnesota Middle School Association.